With a strong passion for "all things wool," Bridget Allin moved to Peterborough with the impression that we had an existing yarn store. When she found out that the one here had recently closed, she killed two birds with one stone by creating a job for herself and opening a store of her own: Needles in the Hay. Bridget found herself busy right from the get-go, as Peterborough is home to lots of organized knitting groups. "The reception to the store has been amazing as knitting is a hobby embraced by all ages," she says. Bridget feels that knitting has been making a resurgence in recent years. With websites such as Ravelry (a site that lets you network with others and share knitting patterns) and KnittingHelp.com (for knitting explanations and techniques), knitting has become more accessible, she believes. More knitting conferences are starting to spring up as the culture starts to grow and people pay more attention to the materials of products and where they are sourced. 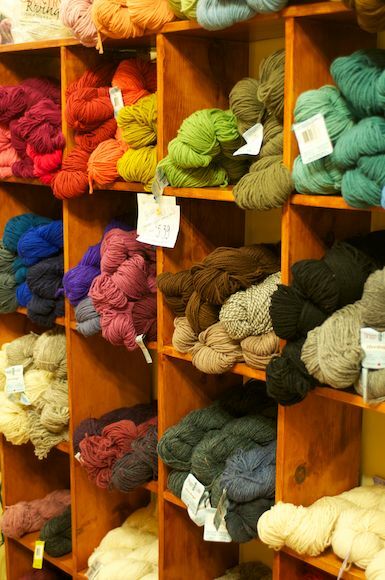 Although yarn is available from box stores, if you are looking for a natural fibre yarn or one with a luxury fibre in it (such as cashmere), Needles in the Hay is the place to be. Bridget's passion shows and she is very knowledgable. Classes will be added in 2011 to help people of any knitting or crocheting level. One of the classes will be a knitting refresher course as many people have tried knitting at some point in their life and just need a helping hand to get started again. 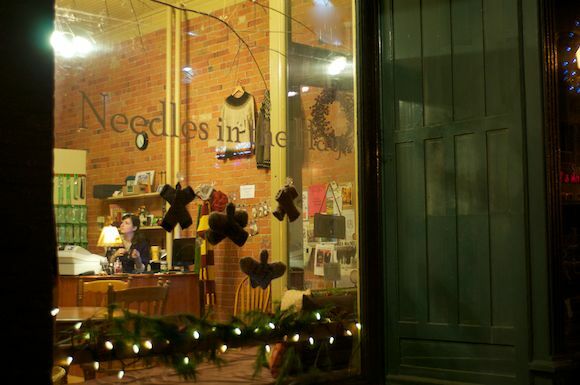 Needles in the Hay (705-740-0667) is located at 385 Water Street. It's open Tuesday from 10 a.m. to 9 p.m., Wednesday through Saturday from 10 a.m. to 6 p.m., Sunday from 12 p.m. to 5 p.m., and is closed on Mondays. For more info, email Bridget here.